Detoxing from heavy metals. Why is that important? Since the dawn of the industrial age, we have been exposed to heavy metal toxins at increasing rates. And they are everywhere. From the foods, we eat to the deodorant we put under our arms, to the car exhaust we inhale. While our bodies are able to detox from certain compounds, it is becoming increasingly clear that the amount of heavy metals we are exposed to is too big for our body to detox from naturally. So, what should we do? How can we actually assist our body in detoxing from heavy metals without causing harm to ourselves? Today, I am talking to my friend and colleague Wendy Myers, a functional diagnostic nutritionist and a detox specialist. 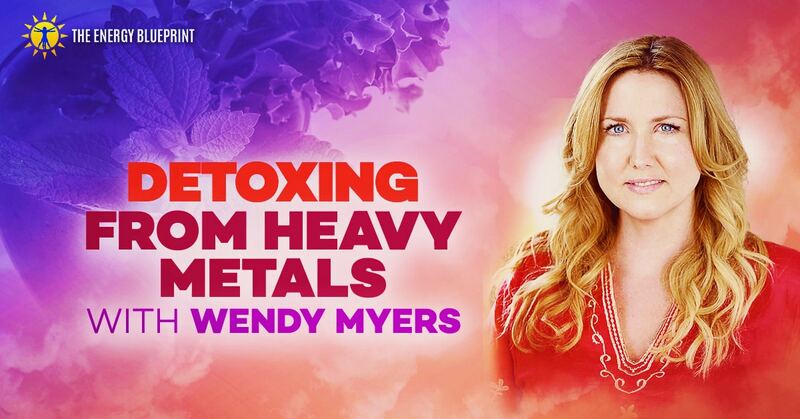 Wendy was suffering from heavy metal toxicity herself and had to do heavy metal detoxing in order to overcome her health challenges. Together, we will uncover the truth about heavy metals, how we get exposed to them, how they impact our health, and how you can start detoxing from heavy metals today. Ari Whitten: Hey there, everyone. Welcome back to The Energy Blueprint Podcast. I’m Ari Whitten, and today I’m here with my colleague and friend, Wendy Myers, who is a functional diagnostic nutritionist and a detox specialist. We’re going to be talking all about detoxification today, so welcome, Wendy. Wendy Myers: Thank you so much for having me. Ari Whitten: Yeah. To get things started, I would love if you could just talk a bit about your background and how you got into health and how you got into, specifically, detox. Wendy Myers: Yes. Well, like a lot of people that are health practitioners or that have health websites, they got into health and are, my specialty is detoxification, in their own health journey. My health and my family’s health is dramatically impacted by toxins. More specifically, my daughter had an autism diagnosis at one point, and she had the highest aluminum levels of any client I’ve ever tested in thousands of clients, and she got the aluminum from vaccines. My father died from his cancer treatments. He developed esophageal cancer from the cadmium that he accumulated from 40 years of smoking. That’s why cigarette smokers get cancer. It’s the cadmium. The cadmium causes more cancers than all the other metals combined. Then I had my own health struggles. As soon as I tested, I found out that I was mercury toxic. I was arsenic toxic. I had aluminum. I had cesium. I had thallium. I had a lot of different toxic metals that were causing my myriad number of health issues. When I was 37, I had just had a baby and just felt really run down and exhausted, brain fog, fatigue. I had trouble losing weight. I had a lot of mood issues, just had anger, which I had never experienced before. I had just trouble carrying on conversations. I had really bad brain fog and just a lot of other issues happening. I just went on a health journey and went to the internet trying to find out how do you heal your adrenals naturally or how do you get … Why is your thyroid not working? I kept hitting upon mercury toxicity and hitting upon xenoestrogens, all the chemicals, estrogen-mimicking chemicals we have in beauty products and other types of things, so I started on a detox program. I did a hair mineral analysis and discovered some of the metals that I had, started on a detox program, and I started feeling a lot better within a few months. I just knew that this was it. Something just clicked inside of me, and I just started researching. I decided to start my website, myersdetox.com, to inform people about what I was learning and just, generally, heeding that call, trying to get the warning out that this is … maybe this is the missing key in your health that you’re missing. If you’re like myself, I was doing everything right. I spent all day long … I wasn’t working when I had a child and taking care of her. I was just, all day long, eating good, taking amazing supplements. I was trying to sleep. I was going to bed every night really early, but up all hours of the night. I was taking amazing supplements. I was doing all this stuff, and I still didn’t feel good, and so I wanted to just communicate to people that you really need to add detoxification to your health regimen if you want to meet your health goals. Ari Whitten: You mentioned a lot of heavy metals in that description. It’s kind of become a normal thing, right, for people to talk about, “Oh, you know, I was exposed to lead or I was exposed to mercury,” but at the same time, it’s kind of bizarre, right, that humans are accumulating heavy metals like mercury and all sorts of other things in our bodies. How did this situation come about? Where are all these metals coming from? Wendy Myers: Well, they’re coming from the earth, and our bodies are designed to deal with some of these. The problem is that, over the last 100 or so years, the Industrial Revolution, we’re drudging all these, we’re mining all these metals from the Earth’s crust and releasing them into the air, and they’re in our products. They’re in our computers. The petroleum deposits have thallium in them and other chemicals, and we’re releasing that into the air through smog and car exhaust. We’re making two or three thousand new chemicals every year. There are, roughly, estimates of 80 to 100,000 chemicals in our environment that provide us with all of our modern conveniences and products that we use. The problem is that we’re unleashing these with, really, no studies whatsoever. There are very few studies on the potentiating effects of how chemicals can interfere, can combine and make even more toxic products in our bodies. Unfortunately, we’re living in a very toxic environment in the air, food, and water, and we’re ingesting these things every day. We’re exposed to thousands of toxins every day, and it’s just a reality of modern life. There’s only so much you can do to control it, but you can do a lot to detox your body. There’s a lot of very simple things that you can do, and that’s what I like to talk about. Ari Whitten: Beautiful. I know that you’ve kind of zeroed in on heavy metals, in particular, as being a big culprit. There are, of course, other chemicals that we can talk about and that you have talked about previously, BPA, and phthalates, and UVSEs, and all kinds of other things. I know you focus on heavy metals, in particular, and you have a summit, actually, coming up, The Heavy Metals Summit. Can you talk about, I guess, why heavy metals have become such a big focus of yours and why that’s lead you to connect with all the world’s top thinkers on heavy metals and do this summit? Wendy Myers: Yes. Well, I’m focusing on heavy metals because when you do a detox program for metals, you’re still getting the chemicals. If you take certain binders and you do infrared saunas and things like that, you’re still addressing chemicals. I like focusing on heavy metals because you can test for them. It’s very tangible. You could do tests and find out the majority of metals you have in your body. Really not a lot of good tests for chemicals out there as of yet. I wanted to co-host The Heavy Metals Summit with Dr. Dietrich Klinghardt, who is one of the world’s foremost respected experts on heavy metals and toxins and energy medicine as well as infections, and Dr. Christine Schaffner, who was a founder of the clinic that they run together, The Sophia Health Institute, out of Seattle. They have incredible results with their client population. We really wanted to sound the alarm and get the word out about heavy metal toxicity and where we’re getting all these metals, how to identify them, and the latest, cutting-edge techniques on how to detox them from your body, and a lot of different supplements that you can take that are incredibly effective. We have a whole day on bioenergetic medicine and how to bioenergetically detox your body. We have some incredible speakers that are having really interesting results using lasers and bioenergetics to detox the body, so lots of interesting information. We have about 38 speakers, including Dr. Chris Shade, Dr. Ben Lynch, Dr. Joe Mercola, Sayer Ji, really the world’s foremost experts on detoxification. It’s really exciting to be in this company and share this knowledge with everyone. Ari Whitten: Awesome. Well, I’m excited to listen to it. Let’s talk about some of the heavy metals. Let’s dig into this a little bit. What are some of the most common heavy metals that you’re finding in people’s bodies? Wendy Myers: Everyone has metals in their body. It’s, unfortunately, a fact of modern life. The ones we find in everyone are mercury. I’ve actually done statistical analysis with a colleague of mine, Dr. Bruce Jones, and he has done thousands of tests. He did the statistical analysis and found that the number one is mercury. Number two is aluminum. There are other metals as well, but those are the two most common metals that people have in their body. Thallium is another one. Thallium is found in petroleum deposits, so when you put gasoline in your car or your car is burning oil, you’re releasing thallium into the environment, and then we’re breathing that in. That’s a big component that causes chronic fatigue, that interferes with mitochondrial function. Our mitochondria are our body’s powerhouses that make our body’s energy. Thallium will poison enzymes that transport nutrients into your mitochondria, so that’s a big causative factor in people that have chronic fatigue. Back to mercury, mercury is found in the air. We breathe it in. It’s found in the large migratory fish, and it’s actually found in 2 or 300 different medications and products. It used to be in the contact lens solution because it’s antimicrobial. It’s found in, still in the flu vaccine and just a handful of vaccines now, but now aluminum’s the big factor that’s in vaccines now that elicits that immune system response when it’s injected. Aluminum is also found in the air and a lot of the geoengineering going on, the spraying and things spray aluminum into the air, so that’s … You’re breathing in aluminum. Every breath that you take, you breathe in aluminum. You’re putting it on your underarms every day like a lot of people are. They’re using conventional deodorants, and aluminum’s very effective at blocking your sweat glands, but it’s a very, very, unfortunately, very toxic and causes a lot of different problems in the body, including fatigue. Ari Whitten: What do we do with this information? Wendy Myers: It’s depressing, I know. I’m sorry. Ari Whitten: Yeah, so it’s everywhere. Ari Whitten: Well, maybe before we get there, let’s talk about some of the most relevant ones to chronic fatigue, in particular, given, obviously, a lot of people listening to this podcast are struggling with fatigue and low energy levels. I know you mentioned thallium. Do pretty much all of these metals relate to fatigue and, potentially, cause fatigue by virtue of how they affect mitochondrial function, and what specifically are some of the mechanisms? I know you just mentioned a couple, but let’s dig into the mechanisms a bit more. Wendy Myers: Yeah. I don’t mean to be a Debbie Downer and sound really depressing. I’m just giving you facts, that’s all, but there’s a lot that you can do. There’s a lot of simple things that you can do we’ll talk about at the end of the show. There’s a lot that you have in your control that you can do to detox your body. It’s just something that you have to add to your health regimen. It’s just a fact. The metals that cause fatigue is something that I talk about a lot. We’ll talk about doing a mitochondrial detox at some point. The metals that interfere with mitochondrial function that we know, they’re a family of metals called trivalent metals, and they include aluminum, arsenic, tin, thallium, and cesium. Antimony is also in this, but it’s not very common. The first one’s aluminum. I’ll talk about aluminum, arsenic, and thallium, and cesium. These metals poison enzymes that transport nutrients into our mitochondria. I mentioned that before. You can take different supplements, mitochondrial supplements, PQQ, or ribose, or things like that, or B vitamins. Many people, if they have these metals, the enzymes that transport those nutrients into that organelle, the mitochondria, the nutrients can’t get in, so you’re not able to produce the amount of energy your body is potentially capable of because the enzymes aren’t working. You have to remove these metals to get those enzymes working again in a maximum production. Tin, very, very common, there are some people I’ve seen really high levels of, that there are some women that just, for genetic reasons, or exposure, or what have you, have just exceptionally high levels of tin. Tin, what that is, if you have a membrane of your mitochondria, you have a certain charge in the outside of that membrane that helps it to function, and tin will dispel that charge on the outside of the mitochondrial membrane. There’s a very simple solution to removing these metals, and it on a product called BioSil. BioSil has a particular affinity, it’s a particular type of silica that has a specific chemical formulation that will mobilize these metals from tissues and bones and whatnot and will release it into your body. Then you want to take a binder like modified citrus pectin or charcoal to absorb all these metals that are mobilized with the BioSil. Over a period of time, you start getting rid of these mitochondrial poisons and people, slowly but surely, their energy starts coming back. Ari Whitten: Beautiful. Let’s talk about assessment and diagnosis of these conditions or of heavy metal toxicity because I know there’s quite a bit of debate and controversy about the validity of different methods. What’s your take on that, and what are your preferred methods for assessing toxicity? Wendy Myers: Yes. Well, there’s no one test that’s perfect, unfortunately. We know that different metals come out in different routes in the body. Some metals come out best and show in the hair, some come out best in the urine, and some show best in the stool, and so, ideally, you want to do all three tests if you want to have a nice little picture of the metals that you have in your body. One rule of thumb is that the very first test that people do of any one of those, typically, doesn’t show a lot of metals. That’s typically because they have low energy production. Their body isn’t detoxing very well. They might have genetic issues, methylation issues that prevent detoxification, or they’ll just have other issues, and typically, the first test doesn’t really show a whole lot. It can show some. When they begin a detox program, they start taking nutrients, they start taking minerals, they start taking chelators that grab onto metals and remove them, they start taking binders, and it just facilitates that detoxification. Then, on subsequent tests, we’ll see more and more and more metals come out. Ari Whitten: Now, just out of curiosity, which specific test are you referring to, all the different heavy metal tests or hair mineral analysis? Wendy Myers: No, it doesn’t matter. Yeah. The more you progress on any kind of detoxification program, the more metals you’ll see come out on any kind of test. The primary test I like to begin with is a hair mineral analysis, and that’s simply because it’s easy to do, it’s noninvasive. Everyone can do it, and you can do it at home. The next best thing is a urine metals test using a DMSA challenge. That’s a synthetic sulfur that people take that will coax different types of metals, divalent metals, out of the body and into the urine, but not everyone can do that test. If someone’s really sick or they had a sulfur sensitivity, they can’t do that test. Then there’s a stool test, but that’s only good for cadmium and silver, really, so that’s the test I use for those metals to see if someone has that toxicity. Really, you’re left with hair and urine as the primary tests. Ari Whitten: Okay. As far as trivalent metals, is the only one that can really get at that is the hair mineral analysis? Wendy Myers: No. You can do the urine test as well. When I do a urine test, I’ll do DMSA and BioSil. I’ll do a large dose of BioSil so that the divalent metals are represented by the DMSA and then the trivalent metals that cause fatigue are fairly represented by the BioSil. Ari Whitten: I haven’t heard of anyone doing that. Is that something that you developed on your own? Wendy Myers: It’s really my mentor, Dr. Bruce Jones, who developed that, because he’s a brilliant medical doctor, a 35-year practicing physician, and he’s come up with a lot of different things that … tricks and tips that make his testing more effective. We also use glycine as well because that makes the DMSA work better. We just use a lot of different things. We’ve tried cilantro and different things to try to just get the best results possible with the testing that we’re doing. Ari Whitten: Gotcha. Let’s say someone does this testing and … Well, actually, let me, before I go to there, as you described earlier, these heavy metals are so common, so much a part of our lives now. They’re in the air. They’re in our water. They’re in our food. They’re everywhere. Is testing really that necessary or should everyone just assume that they have some degree of heavy metal toxicity? Wendy Myers: Yeah. That’s a very a good question. Everyone has metals, so you can start on a detox program. You can start doing something very simple like the mitochondria detox that I talked about using BioSil and PectaSol. You can start on that for a year and then do testing later if you wish. You don’t have to start out with testing right off the bat, but sometimes, people have metals that require more aggressive treatment. The problem is that it’s good to find out what you’re working with. You want to find out is it mercury, is it aluminum, is it arsenic, what is going on here, because different supplements remove different metals, and there are some metals that can only be removed with DMSA. There are some metals that are very dangerous, like tungsten or cadmium, that you really want to get aggressive with right away because they can promote cancers and things like that, or if someone has cancer, they need to be working on these toxins. I’ve done thousands of tests and, sometimes, people have an outlier metal that’s really uncommon, like beryllium, and that requires specific treatment, so it’s good to know what you’re working with, but if you are on a budget, you can just start taking binders and start taking some simple supplements and doing some simple detox protocols at home if you’re not able to afford doing the tests. Ari Whitten: Let’s dig into some of the more practical methods. Let’s say someone does the testing, and they find out they’re toxic in mercury and cadmium and tin, just as an example, and maybe we’ll throw lead in there too. What are some of the ways that people can start to address this as far as supplements or other lifestyle strategies to detox? Wendy Myers: Yeah. The catch-all to detox metals and chemicals are binders, so everyone can start with a binder. Very few people react to those, and if you do react to one, you can try a different one. My favorite is PectaSol-C. It’s a modified citrus pectin. That’s a wonderful one because it gets into your bloodstream. It’ll soak up lots of metals and chemicals. If that doesn’t work for you, you can do French green clay, you can do charcoal, you can do apple pectin, a lot of different binders out there that you can use. Infrared saunas are incredibly effective at sweating out metals and chemicals. There’s a really interesting Finnish study that followed men over either 20 or 30 years and showed that men that were doing infrared saunas 4 to 5 days a week had a 40% reduction in mortality of all causes. These are lots of health benefits of saunas. Ari Whitten: Yeah. Actually, I’ll mention, just real quickly, that wasn’t actually infrared. That was traditional saunas. Ari Whitten: They do also stimulate detox in similar … I’ve actually seen comparisons. I know that there are some claims out there around the infrared stuff that it’s however many times more effective, but actually, I’ve looked at some of the research that has shown very similar levels of detoxing. Maybe it’s more effective for certain compounds than others, but from what I’ve seen, the traditional saunas and the infrared are actually similarly effective in promoting detoxification. Ari Whitten: Yeah. I’ll just add that, for people with chronic fatigue syndrome, in particular, or more severe health problems, they are generally much more tolerant of the infrared saunas than traditional saunas, and they can be in there longer and not feel exhausted from it because, like you said, the ambient temperature of the room is much lower while still stimulating all the sweat production. Wendy Myers: Yeah. That’s why I recommend infrared saunas because, I mean, personally, I’m very healthy. I just can’t stay in a regular sauna. It’s just too hot. I want people to get the benefits of detoxification, and so I typically don’t recommend the Finnish saunas just for that reason. I can only stay in for 10 minutes, and you really want to stay in for 20 or so minutes to get the maximum benefit. Yeah, so I really like coffee enemas. Coffee enemas are a very easy, inexpensive, maybe not so desirable way to detox, but they’re incredibly effective. They’re really not for cleaning out your colon, which a lot of people maybe presume, but they’re really for detoxing your liver. The caffeine has a hormetic effect where it shocks your liver into releasing bile, releasing glutathione, and it releases the toxins into the bile, which you then excrete, or you purge the contents in the bile in your intestines. That’s a fantastic way to detox or to relieve detox symptoms if you’re doing a kind of detox program or a really intense sauna use and you’re mobilizing a lot of toxins in your tissues. That’s a great thing you can do also. Ari Whitten: Awesome. As far as detox supplements, PectaSol-C and BioSil you mentioned. Are there any others that you found to be really effective detox supplements? Wendy Myers: Yeah. There’s a lot of great things that you can take. I really like cilantro. You can do either coriander seed oil or you can also do a cilantro extract. That’s very helpful at producing bile. It really facilitates bile production, which a lot of people don’t make enough of and for various reasons, so it promotes bile production and excretion of different metals as a result. Chlorella is a fantastic supplement also. I really like the BioPure brand. They have two different types of chlorella that target different types of toxins in the body. They’re not all made equal. They have to have broken cell wall, and they have to be a certain size and whatnot to be maximally effective. There are lots of fantastic supplements. Minerals, just by themselves, are an amazing detox agent because if you’re mineral deficient, you can retain metals in the body that you would otherwise excrete because a body needs those metals to do certain jobs in the body. Cadmium can be used to do repair jobs that zinc can do. Obviously, you’d prefer to have zinc to repair your body, but if you’re zinc deficient, if you’re a vegetarian or vegan or you don’t eat red meat, typically you will be zinc deficient as a result, and your body will use cadmium instead to repair your arteries and your tissues and your skin and whatnot. That’s just one example. Many people are magnesium deficient. Magnesium is needed for a lot of different processes, to produce energy, to detox the body. Just by taking minerals, by themselves, is an incredibly effective way to detox the body and push metals out. Ari Whitten: So there’s this sort of competing effect where they’re both competing to be in sort of the same spot in the cell, and by taking the minerals, they kind of kick out some of the heavy metals? Wendy Myers: Exactly, yeah. They compete for the same enzyme binding sites in the body, so by taking minerals, you start displacing metals out of those binding sites, and your body will excrete them. You need to be taking binders and things like that to facilitate that process. Ari Whitten: Gotcha. Couple other specific questions on some compounds where I’ve seen some controversy, and I’m wondering what your thoughts are. One is you mentioned French green clay earlier, and I know that I’ve seen some stuff on some of the clays, bentonite clay and things like that, where they’ve talked about heavy metal contamination in the clay itself, like lead, for example, being in the clays. What are your thoughts on that? Is that a concern? Should people be getting clays that, specifically, are tested and don’t have any of these compounds? Is the heavy metal getting absorbed into our bodies? What’s going on there? Ari Whitten: Yeah. These things are binders, essentially. Ari Whitten: They’re binding metals in the environment just the same way they bind metals in our body, but from what you’re saying, what they don’t seem to do is sort of get broken down and digested in our body and then release their contents of metals into our body where our body then absorbs those things. Wendy Myers: Exactly, exactly. Just eating food, you’re getting metals. Taking supplements, supplements have a lot of metals in them. They have a lot of cadmium, or they can have arsenic, and they can have lead in them. Of course, you want to avoid products that have known sources of toxins in them, but it takes an understanding of chemistry and valence and how metals bind to different products and different minerals and things like that to have an understanding of what to avoid, what not to avoid. The aluminum or metals in clay is not something I’m worried about. Ari Whitten: Yeah. On the notion of supplements having heavy metals, it’s funny, actually. I’m going through a process of custom formulating some supplements right now. I, fortunately, have a good connection with a really, really reputable supplier of super high-quality ingredients. He showed me a bunch of certificate analysis of a lot of popular raw ingredients that are on the market that are being sold in a lot of supplements. I didn’t know this, but I mean the amount of crap, of toxic metals and other compounds that are commonly in really well-known, popular supplements is just shocking. Ari Whitten: I mean the amount of contamination is just insane. Wendy Myers: It’s shocking. I did a medicinal supplement summit. I interviewed 50 people about supplements. I talked about that with Mike Adams, but he’s doing testing, ICP testing, the same kind of analysis that is used for hair mineral analysis, and it’s shocking how many … Even organic supplements can have metals in them because organic means chemical-free, not free of metals. There’s a lot of sources in India, especially the ingredients that are sourced in India or China, you can have a lot of metal contamination because they’re mired under the soil. It’s just more toxic than products that are sourced in the United States. Ari Whitten: Right. One other question that I have for you is on alpha lipoic acid as well as some like DMPS and some of the other more aggressive binding agents. There’s some talk, I know that there are even forums specifically dedicated to this of people who talk about taking some of these chelators and then actually getting worse. There’s some idea, I know there are some practitioners that say if you take these chelating agents, they pull some of these toxins from wherever they’re currently being stored in your body, and then they get taken up into the bloodstream where they can, potentially, be … instead of being expelled from your body, they can, potentially, be redeposited in other places like, potentially, the brain or other places where they’re even more dangerous. What’s your take on that? Wendy Myers: Yeah. Well, that’s why you have to take binders if you’re doing any kind of detox program, infrared sauna use, or whatever you’re doing. You have to take binders. That’s the name of the game with detoxification. You have to take something to mop up all these toxins that you’re mobilizing with various chelating supplements. Different people respond to different products, so that’s why it’s really important to work with a healthcare practitioner that’s very knowledgeable about detoxification because some people are allergic to alpha lipoic acid. Some people have a sensitivity to cilantro or what have you. If something doesn’t work for you, you need to course correct, and you need to know how to do that, and that’s going to be with a practitioner that specializes in detoxification. One thing when it comes to detoxification that you have to be aware of is when you start taking a product like alpha lipoic acid … I only give clients sodium R-lipoic acid, which is a fat-soluble or a natural lipoic acid. Most people are taking alpha lipoic acid, which is half synthetic, half natural, and then it’s only water soluble, so it’s not nearly as effective, but those are certain distinctions. When you’re taking products like these and you start releasing and mobilizing toxins from storage sites, guess what? They’re going to start causing problems in your body, and you probably will have an intensification of the various symptoms you’re trying to get rid of. They’re called Herxheimer reactions or healing reactions, detox symptoms. That is part of detoxification. I’m sorry. A lot of people want to detox and do something proactive to feel better, but you’re not always going to feel good when you detox. You’re just not. You can have more fatigue. You can have brain fog. You can have mood stuff and get crabby. I’ve definitely had crabby episodes. When I was releasing a ton of aluminum at one point, it makes you very irritable. I was able to make that correlation when I had a ton of aluminum coming out on tests. It’s not always fun to detox, but it can be minimized. The symptoms can be greatly, dramatically reduced and mitigated by taking binders. You just have to take one that works for you, and you increase the amount of binders you’re taking when you’re having detox symptoms. Certainly, if a symptom is extreme, then you really need to be working with someone experienced to know why that’s happening and know when to pull back and stop the detox, or is it something that you just need to course correct and take a different supplement? Sometimes people are too sick to detox, and that’s when you have to start doing something more slow or to prep the body for detoxification. It can get very complex. Ari Whitten: Yeah. Like you said, I think that’s a good reason to work with a practitioner, especially if you do testing and you find that you are toxic in certain metals, some of the more serious and dangerous metals. I think it’s critical to work with a practitioner and really make sure you’re doing things aggressively to get the stuff out but that you’re also managing any issues that come up in that process. Wendy Myers: Yeah. You want to be pushing the envelope, so to speak, riding that edge of what makes you a little bit uncomfortable, but it’s not too much. You should be able to function. You should be able to go to work and live your life while you’re doing a detox program. If you’re not, then you need to pull back a little bit. You have to do what works for your body. Always listen to your body and do what works for you. Ari Whitten: Yeah. Now, one more question on that. I do know some practitioners who really are kind of opposed to some of the aggressive chelating agents, in general, kind of for that reason that they’ve seen harm come from it, and so they kind of just have, now, a rule. They’re like, “No. We don’t use those aggressive chelators, and we just prefer a slow and steady, longer-term, more gentle approach to detoxification.” What do you think of that? Wendy Myers: There are a time and a place for IV chelation. A lot of times, when practitioners refer to aggressive chelating agents, they are referring to the IV injection acids like DMSA or EDTA or DMPS. If they’re done properly, they can be very effective. I’m not the biggest fan of those, but if you are in a life-threatening situation where you need to bring lead levels, or mercury levels, or other levels down, then you need to use those, especially if you have a known acute exposure to a metal that can be removed with those acids. I’m not all or nothing, but slow and safe is the name of the game because you can damage your kidneys with those chelating agents, so you have to use caution, but if it’s done correctly, it’s very, very effective. Ari Whitten: Yeah. On that note, I’ve actually seen a shocking number of those. It seems to be extremely common that people really just use that as, like you said, they’re one-trick ponies as far as their approach to detoxification. It’s just IV chelation. Wendy Myers: Yeah. Yeah, and so that I would avoid, but again, like I said, there’s a time and a place. You just have to work with someone that employs that but that’s not their first response. Usually, you want to do testing, do an evaluation first. There are lots of gentle things that you can do that are incredibly effective, but they take time. You have to detox for a fairly long period of time, I mean two to three years of doing some slow and safe binders and mild chelators will remove 80, 90% of the metals that you have in your body, but that’s if you’re really focused and really dedicated to your detox. Generally, you want to be using something on a long-term basis because you’re exposed to toxins every single day, so you want to just incorporate some sort of detox methods into your health regime and detox supplements on a regular basis. Ari Whitten: Awesome. As far as protocols, whole approaches to detox, what’s your favorite detox protocol? Wendy Myers: Really, it’s infrared saunas. I think they’re just the most effective, and they’re very pleasurable to do. They have a lot of other health benefits, controlling infections and healing your body, improving circulation, reducing blood pressure, helping with weight loss. It’s a mild weight loss effect. They have a lot of health benefits in addition to detoxing your body of metals and chemicals, and so that’s my absolute favorite detox protocol. Ari Whitten: Awesome. Actually, you just brought up weight loss. You reminded me of something that I … the thought crossed my mind that I wanted to ask you about earlier. There was an interesting discussion in my Energy Blueprint members’ group over the last week. I’m fortunate that there’s a number of wonderful MDs and other practitioners in there that always chime in and help out. It’s a wonderful community of lots of experts. There was one woman in there that was asking about rapid weight loss. “Is rapid weight loss okay? What’s your take on it?” she was asking to me. It’s interesting because, for a long time, we really kind of shunned rapid weight loss and it was thought slow and steady is much better and that’s how … It’s just more sustainable, and you’re going to keep it off and so on. Last year, there was actually a big study, really the first of its kind, that has actually put it to the test and compared rapid weight loss to more slow and steady approaches. Shockingly, and this kind of made waves in the fat loss communities, they actually found that the rapid fat loss approach worked slightly better, rather than worse and that more people were able to complete it and actually lose the weight, and there was a lower drop-off rate, and more people actually had sustained the weight loss or had more weight loss six months out or a year out. I had communicated that research to her. I know, actually, our mutual friend, Dr. Alan Christianson, is actually about to write a book where he’s basically going to advocate, talk about that science and kind of advocate a more rapid weight loss approach to fat loss as being superior. Interestingly, Dr. Maya Shetreat-Klein, who you may also know, she’s a pediatric neurologist, and she mentioned that she has seen a number of people who have gone through rapid weight loss approaches and then come down with MS, multiple sclerosis, afterward. It’s still kind of speculative. There’s no real research on it, but it’s a very interesting observation that she made there. What she’s getting at is since a lot of toxins and heavy metals are stored in body fat, doing this really rapid fat loss process can release a flood of toxins and heavy metals into the system in too great a degree for the body to actually process and get rid of. Anyway, I thought that was kind of a very interesting observation that she made and relevant to this discussion, but I wonder if you had any thoughts on that? Wendy Myers: Yeah. That doesn’t surprise me at all because I had a girlfriend that she lost 120 pounds in a very short period of time. She actually developed a cyst at the base of her spine. We know the body produces a cyst to store toxins in there. She had to have that surgically removed. I firmly believe that’s a result of toxins, that she had released so many into her system. She had a terrible diet full of chemical processed foods prior. We know that our body stores toxins in fat. Many women have trouble losing weight. They have resistant weight loss because the body doesn’t want to release this storage container for their … it’s putting all of the metals and chemicals and, especially, the fat-soluble toxins, pesticides and things like that. While, maybe, the studies will show that rapid weight loss is more effective, there’s always other ramifications and consequences that maybe these studies aren’t looking at that parameter in the study. You can only focus on so many constants in the study. Yeah, but that’s a big factor why I’m … I’d be more apt to recommend people do a slow, steady weight loss so their body can process a slow, steady, constant stream of toxins being released into their bloodstream. Ari Whitten: You mentioned your favorite detox protocol, infrared sauna. Then what you mentioned earlier is that, when you’re detoxing, always use binders. Wendy Myers: Yes, very effective. Wendy Myers: Yeah. Even if you’re doing rapid weight loss, you could use a binder too, and that would take care of that problem. Ari Whitten: Yeah. Awesome. Well, thank you so much, Wendy. This has been a really fun conversation to have, and it’s been a pleasure to have you on. As always, it’s fun to talk to you. Where can people learn more about you, and where can people sign up for The Heavy Metals Summit that’s about to go on? We’ll actually put a link on the show notes page, so it’ll be theenergyblueprint.com/heavy-metals. We’ll have a link there, but where can people find out more about you and this whole summit? Wendy Myers: Yes. Well, you can learn more about me at myersdetox.com, M-Y-E-R-Sdetox.com. I’ve got hundreds of podcasts on there, and I’ve got hundreds of articles I’ve written over the years, and lots of freebies. You can go to detoxforenergy.com and download a free e-guide that I wrote, The Top 10 Tips to Detox Like a Pro Checklist. I’m a writer on medium.com as well. You can check me out there. The summit, if you want to go to the summit, you can go to theheavymetalssummit.com, and it’s happening January 29th to February 5th, February 6th. You can listen to the 38 speakers talk about all the issues surrounding heavy metals and detoxification. Ari Whitten: Awesome. Well, thank you so much, Wendy. It’s been an absolute pleasure. Wendy Myers: All right. Thanks for having me. 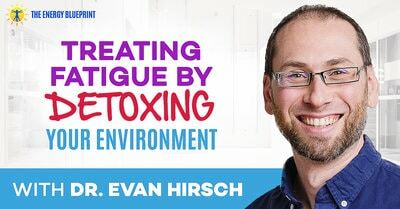 I invite you to listen to another expert on healing fatigue by detoxing your environment, Dr. Evan Hirsch. 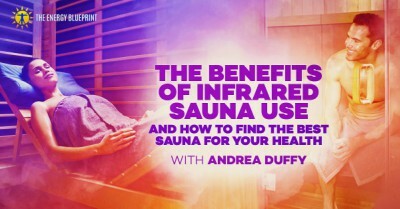 Wendy Myers mentions in the podcast, that the most powerful way of detoxing is through infrared sauna use. Could grinding up the pith of my citrus fruit and consuming it be just as good as a binding supplement as what you can buy? I assume our primate cousins eat the entire fruit unlike us who just eat the fruit. Can you tell me how to take the biosil and pectasol c? Are they taken at different times, or the same time? How far away from taking thyroid meds or supplements do I have to wait, and do I take on an empty stomach or with food? Thank you! I suggest following the directions on the bottles. As far as taking with meds, you’ll have to ask your doctor. You can take them with other supplements.